There hasn’t been much for Mets fans to be positive about over the last couple of seasons. This year, however, is different. Brodie van Wagenen made win-now moves over the offseason and has built a team capable of going on a deep playoff run. The pitching hasn’t started brilliantly, but the talent is there for an elite rotation. The one hole, though, is Jason Vargas’ spot. Vargas had a troubled 2018 and his 2019 hasn’t been any better, conceding 10 earned runs in 6.1 innings. A team looking to contend cannot afford to hand the ball to someone pitching like Vargas is every fifth day. Jacob deGrom, Noah Syndergaard, Zack Wheeler and Steven Matz have had their fair share of early season troubles. It’s different for that quartet, the expectation is that they will improve, whereas with Vargas, his struggles in 2018 suggest even the best-case scenario for the Mets isn’t all that good. 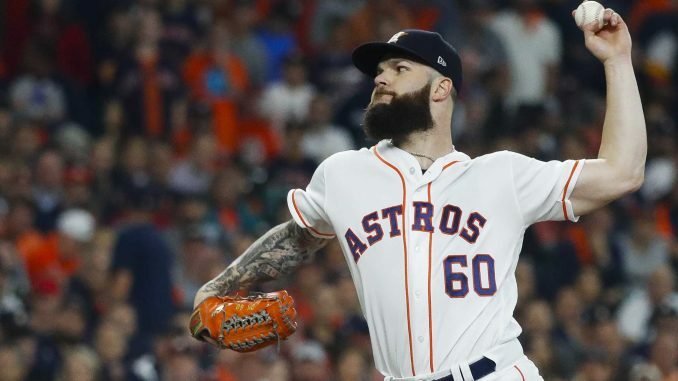 The reasons for Keuchel’s free agency stalemate are well-documented. He has declined over each of the last few seasons, his velocity has dipped and he’s a pitch-to-contact guy. He wants/wanted a long deal. It all makes sense, handing him the big contract he wanted back in the winter would have been foolish from any team. The Mets were right to hold firm. With a red-hot start from Peter Alonso and a roster constructed to contend in 2019 and 2020, the situation is different. The Mets need Keuchel now. Their desperation has increased with Vargas’ woeful start – they could have helped themselves out by adding pitching depth during the offseason through starters like Drew Pomeranz and Gio Gonzalez. Of course, we don’t know exactly what Keuchel’s demands are. 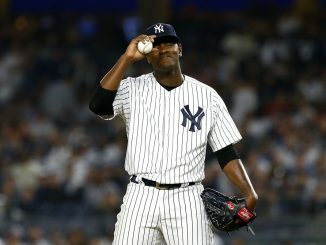 In the Mets’ current situation, though, giving the former Cy Young winner a three-year contract at $60 million would be justifiable. The National League East is going to be incredibly close, and the upgrade of a post-peak Keuchel over Vargas could make all the difference. The Mets still have time to make up for this winter’s mistake. The longer they leave it, however, the greater the risk that an exciting roster falls short. Playing deep into October is certainly possible for this group of players, thanks to van Wagenen’s offseason work. Their approach with Keuchel, and perhaps Craig Kimbrel, will tell us how serious they are about contending.